Whilst we walk about our local streets and streets in general, breathing in what we believe is fresh air and going about our daily lives as we do on a day to day basis, we ponder the question. How fresh is the air we are breathing in? A lot of air pollution is caused by the fumes and gasses composed by the use of the transport used by people on a day to day basis. People have been advised to walk or cycle in stead of driving, simply because the less cars on the roads, the less fumes will be extracted, which means, a drop in pollution in the air. One of the main issues for drivers, especially in the City of London, is the congestion charge. A congestion charge, is a charge made to a driver in a congested area and is more often than not, in a city centre which suffers heavy traffic. Recently, Autoglas has claimed that LPG should be re-listed as exempt from congestion zone charging and it will save millions of lives. This statement from Autoglas has been made in response to new research which has been conducted by Kings College, which has revealed that 9,400 people lose their lives each year in the capital as a result of long-term exposure to air pollution, which is much more than twice as many as was previously thought. 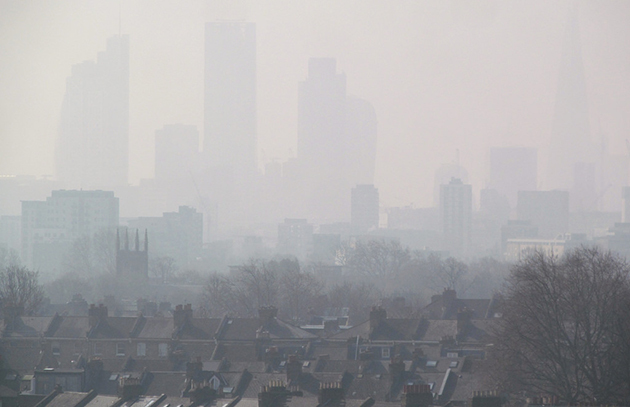 Air pollution isn’t only caused on the outside with the use of transport, as it can also be caused by people in the comfort of their own homes. The worrying fact which has been conducted from a recent study, states that there are a number of people (approximately three billion people) who heat and cook in their homes using unprocessed solid fuels such as wood and crop waste. These are normally burned in open fires or simple stoves in rooms or huts in some places which are built with insufficient ventilation. As a result of this, people breathe in high levels of pollution, which can be dangerous to everyone, especially children. In light of the above points, changes need to be made to ensure that pollution fuelled gas are decreased in terms of their extractions. The dangers and negative aspects of air pollution conducted due to the the fuels being used, are now a severe health hazard which are now causing harm to peoples lives, none more so than young children, who are affected the most. Drivers affected by the introduction of the congestion charge will hopefully chose to walk or cycle more rather than driving. This would allow them to save money on fuel and the cost of the Congestion Charge, as well as decreasing the amount of excess petrol fumes being extracted. As safety and health are the main concerns, it is important to focus on the fact that LPG could guarantee high standards which will benefit both the environment and Londoners’ health in a long-term prospective.